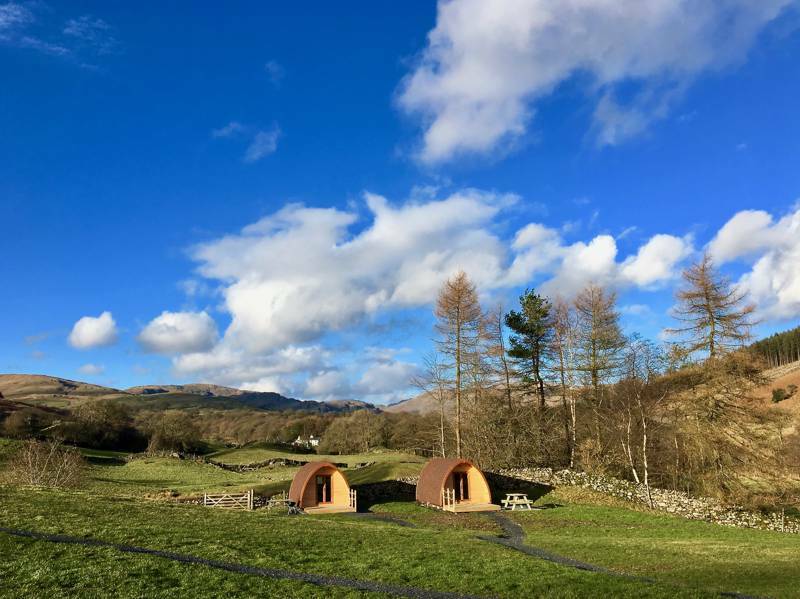 Spring, summer, autumn, winter; there's no set time that is right for a glamping holiday and nowadays, with hard-shelled glamping accommodation and modern heating methods, there's no reason why cold weather should stop you visiting epic places and experiencing the outdoors with a few cosy indoor comforts. If you think winter time is too cold for camping then worry not, glamping in winter is actually a real joy and provides plenty of extra insurance against the weather. Steamy hot tubs, wood fired stoves, insulated accommodation and more, all make glamping a thoroughly-year round activity. 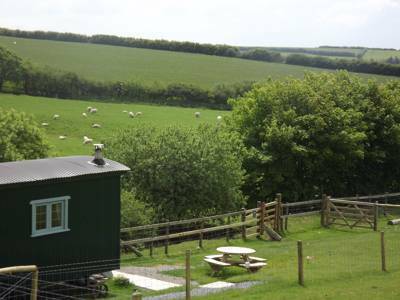 And, smuggling yourself away to a glamping site in the depths of winter can be a wonderfully romantic thing to do, too. 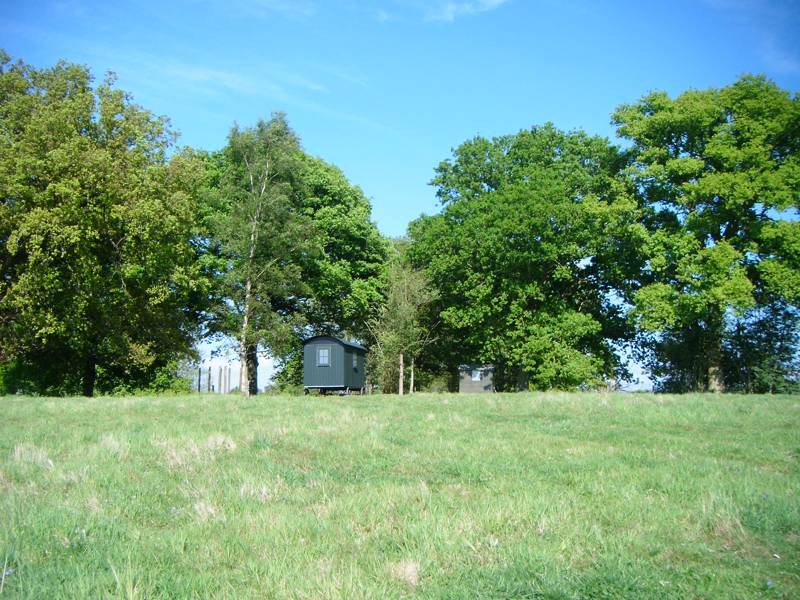 In autumn, meanwhile, woodland glamping sites offer an opportunity to enjoy the changing colours of the season in utmost luxury, while in spring glamping is the perfect, well, spring board, to get you outdoors a few months ahead of all the regular campers. So when you pack the tent away at the end of the main camping season, don't give up on getting outdoors. Browse our year-round glamping collection now and book a winter break today. 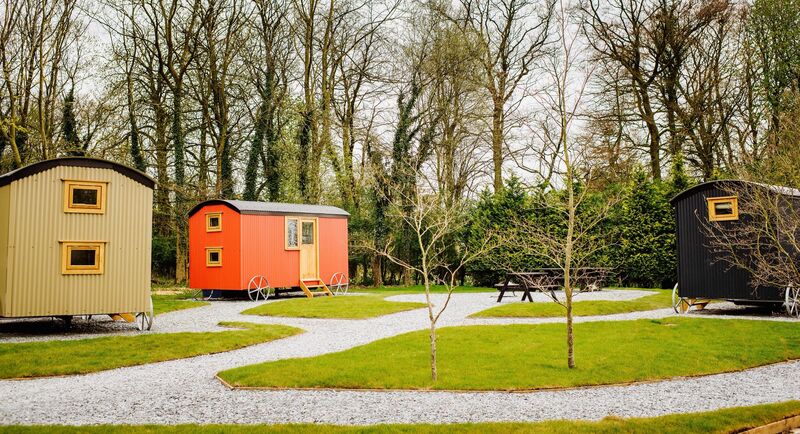 It's fair to say that not every type of glamping accommodation is right for the winter months. Canvas structures, like bell tents, for example, or airy, family-sized safari tents won't fair well in cooler weather. Instead, it's best to look for the most solid of glamping structures. 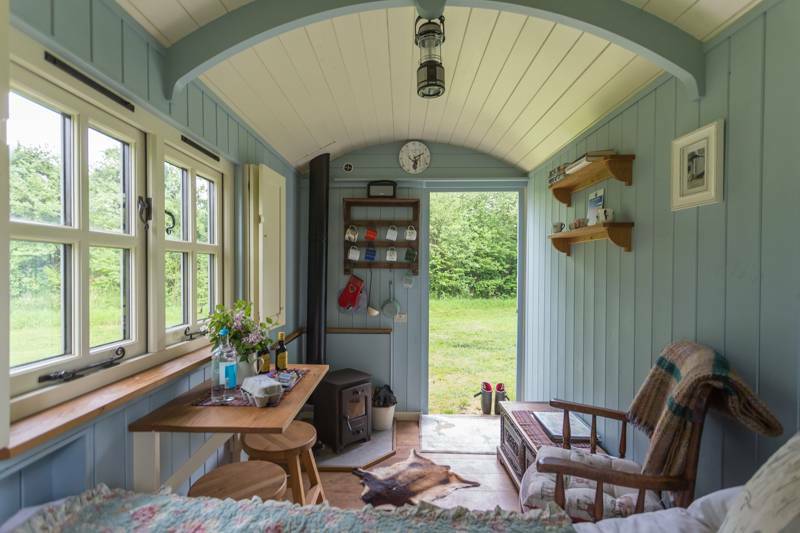 Shepherd's huts are particularly popular; they offer a real sense of romance and usually come with a wood-burning stove that you can boil your morning cuppa on and spend your evening huddled around. Lacking the strikingly nostalgic appearance but just as good, modern glamping pods are also a fantastic year-round option. Some will feature kitchen facilities and en-suite bathrooms, so, when the weather is bad, you needn't even step outside and, relative to shepherd's huts, pods are often the cheaper option. The most high-end pods will even sometimes include underfloor heating! 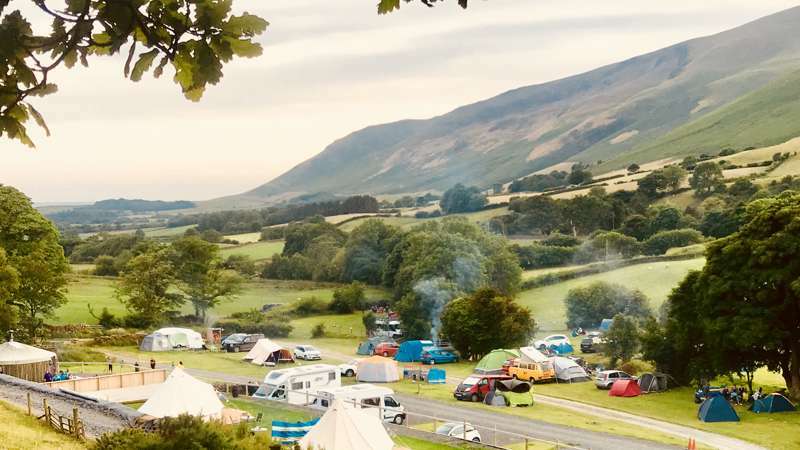 When it comes to glamping, however, if there is one thing we have learnt at Cool Camping it is that not every type of accommodation can be categorised under a certain title. Yes, there are gypsy wagons, shepherd's huts, glamping pods and fully-insulated Mongolian yurts, but there are also tonnes of quirky options that are open all year-round too. We've found converted double-decker buses, ingeniously up-cycled RAF helicopters and multi-storey treehouses with hot tubs on the roofs. Whatever you're after, you've come to the right place. 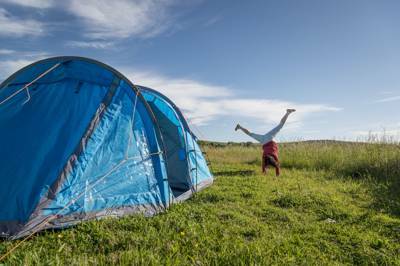 Browse our Cool Camping recommendations online now and pick your favourite glamping patch today. Aside from the snug comforts of cocooning yourself away in romantic glamping accommodation, there are other advantages to glamping in winter too. In fact, not just winter. 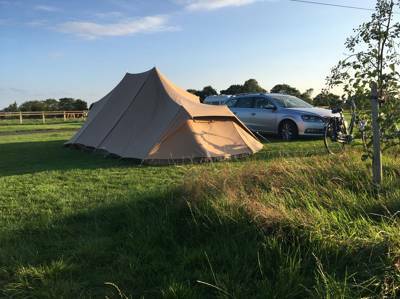 Glamping in autumn, glamping in spring... anything outside of peak season will have certain advantages. 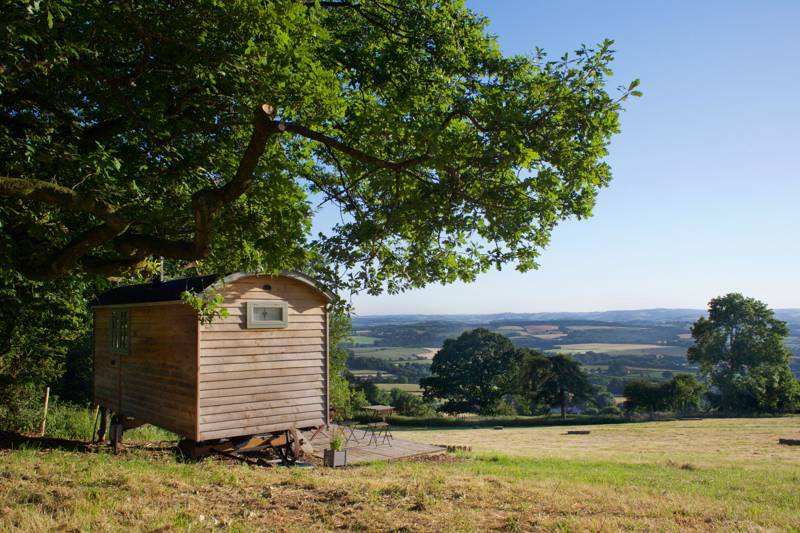 For starters, you'll find that glamping is cheaper in the quieter periods of the year. Glamping sites are in lower demand once the weather gets cooler, so most glamping sites will drop their prices to attract more customers. Get in on the action by booking outside of peak season for the best prices and keep your eye out for special out of season glamping deals and offers. It's not just your glamping accommodation that will be cheaper either. Local attractions will be too. The slower, cooler time of year will also result in extra seclusion. Beaches are empty, footpaths are quieter and places that restrict dogs during the summer will often welcome them with open arms in winter. So for maximum seclusion and a better price, glamping out of peak season might be perfect for you. – Feet up by the fire while rain tap-dances on the roof. – The romance of remoteness while everyone else is at home. – Cheaper prices than the peak summer season. – Maximising your holiday time by going away in winter as well as summer. – Quieter beaches, quieter footpaths... ultimate seclusion. In recent years, glamping has taken off and become quite a trend in France, Spain and the rest of Europe as well as here in the UK. Generally, however, European countries are a key destination in the summer months and many of the glamping sites in France and Europe are designed for summer tourism. Bell tents, yurts, tipis and safari tents, for example, are some of the most popular structures for glamping on the continent but are not set-up during the winter. 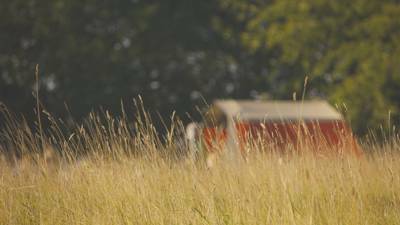 With this in mind, there is a smaller selection of glamping sites in Europe that are open all year round. Don't let that put you off though. Here at Cool Camping we still have plenty of winter glamping recommendations no matter what the weather. Browse our collection and you'll still discover glamping on the continent during the cooler season, while our handy refine your search function allows you to whittle your choices down to find the exact type of glamping accommodation that's right for you. it's romantic, exciting and offers an undeniable break from the norm. You can't beat the wonderful sense of escapism experienced when you wake up cosy and warm in a proper bed, rekindle the wood-burner and peep out of a frosty window to reveal a wintery wonderland beyond. Getting out in the countryside and breathing in the fresh, crisp winter air is the perfect way to escape day to day life and live adventurously. Going glamping in winter is a gateway into a whole new world of holiday experiences. winter glamping site open all year winter autumn spring season seasons off-peak offpeak quiet secluded cold cooler months all year round at Glamping Sites Open All Year – Winter Glamping, With pods and shepherd's huts, wood-burners and sheep's wool insulation, there's no reason to stop glamping when the summer ends. Discover the best year-round glamping sites with this inspiring collection of winter sites from the award-winning Cool Camping team.